Your business website isn’t a piece of property where you get to showcase something that’s built without a purpose or a goal in mind. There’s no room on your website for anything that won’t make your website or business look better or make it easier for visitors to do what you want them to do. Almost every design choice you make regarding your website is influenced by the goal- and customer-oriented approach. But why, then, does your website need to have a page no one ever reads, and everyone skips as soon as you make it possible? 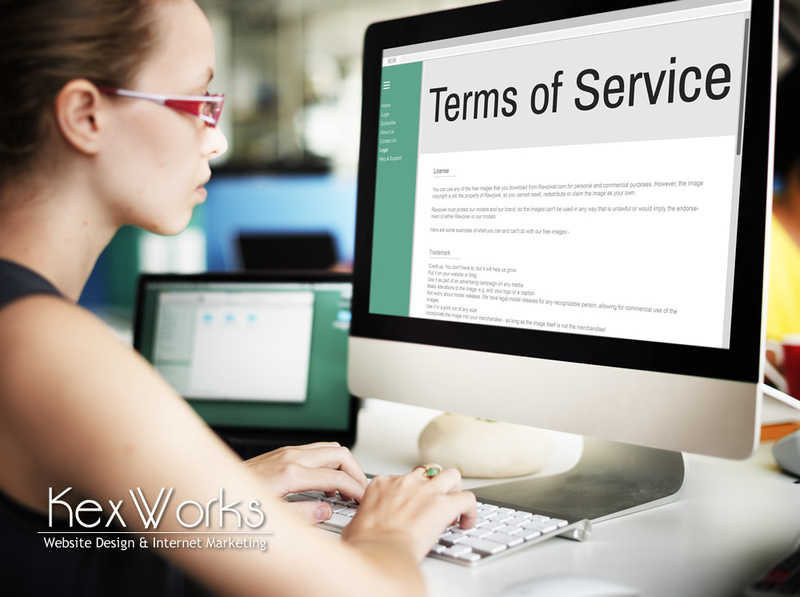 However, carefully written terms of service can also protect your business from liability in some cases. For example, if the content on the website contains some factual errors that might make your business liable for damages, you can try and limit your liability by putting the appropriate clause in the Terms and Conditions. It’s good business sense to make your website available to as many people as possible. It gets even better if you provide some type of service through the website, or if you offer extras or other fun things as part of an online experience. But to be able to keep the order on your website, you need to state clearly what type of behavior is not tolerated on your website. This is especially important if the service you provide includes leaving comments or joining forum sections where users can write freely. In that cases, you can use the Terms and Conditions to state not only that certain types of posts will be taken down, but also that you reserve the right to deactivate the account of any person that’s disturbing others or making it difficult for them to enjoy your website. The Terms and Conditions give you plenty of room to describe unwanted or fraudulent behaviors you will not tolerate. You should also make sure you take every step necessary to prevent any type of abuse from happening on your website, and you can start by making it clear in the Terms and Conditions that abuse will not be tolerated. When push comes to shove, and if things get to court, you should also notify the users which jurisdiction the website falls under. It’s the jurisdiction where you, the business that owns the website, falls under. That’s the law that applies to any type of dispute regarding your website.